Some men merely desire a little additional push to improve their sexual appetite and vigor vigor and their sexual hunger. https://viagradirect.net/levitra-australia.html is very popular. It’s been almost a year since we’ve last heard news from HIM (the band members) and as the saying goes -” Out of sight, out of mind” – right? Wrong! In the case of HIM’s dedicated fans, there is no such thing as out of mind! 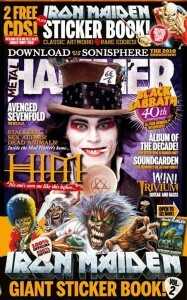 And for those more forgetful souls, well, Kerrang! Magazine has a treat that will certainly get your mind back on HIM. “What seems to be without doubt, though, is that (in least in the eyes of their singer) HIM will return rawer, rarer and purer then they have been for many a long year” – in this weeks issue of Kerrang! Revolver Magazine posted a readers poll last month on their website asking us to vote for who is the single Hottest Dude in Hard Rock or Metal. Campus Philly: I’m sure you’ve been asked this a million times, but for our readers who might not know, can you give a little background on the name of the band and how it came about? 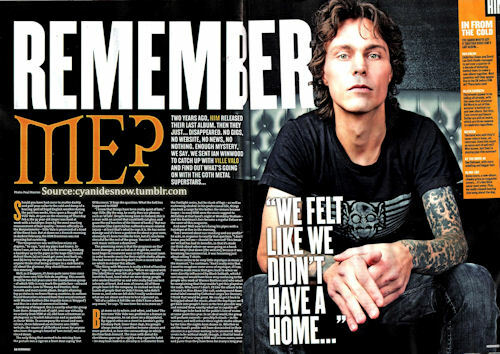 Ville Vallo: No ones been asking that in the past gazillion years, so it’s great. We first called our band Black Earth because Black Sabbath was first known as Earth. We’re huge fans… [With the name change], we wanted something similarly horrific for the band. I don’t know where exactly it came from, but someone came up with the name His Infernal Majesty, and at 15-years-old it sounded ridiculously cool. CP: Why did you decide to go by the abbreviation? VV: In the 90s when all the churches started to burn in Scandinavia, people started to think we had something to do with it, so we instituted H.I.M. CP: Your heartagram symbol is everywhere now, from tattoos to shoes. What’s its origin and what does it mean? VV: The day I turned 20…I was just doodling. I loved the four symbols Led Zeppelin had and White Zombie with Rob [Zombie] had a lot of visual aspects of rock and roll. It’s one of the more fun things for the band and I’m really super proud of it. My dad was an artist and I was brought up appreciating art. I was hoping some of that would rub off on me and I’d get to incorporate it into the band and I’m glad that it has. CP: Last month, you released your seventh album, Screamworks: Love in Theory and Practice, Chapters 1–13. The title is so intricate. What’s the story behind it? VV: It’s one of those things like the heartagram, it just popped out of my head. I love the word ‘works,’ as in the collected works of an artist, like T.S. Eliot or whoever. And then with ‘scream,’ you think of Edvard Munch’s “The Scream.” I also thought about Aleister Crowley who wrote kind of a mythology of rock and roll in Magick in Theory and Practice. For me, love and relationships are the magic. They are the unexplainable; at least I can’t explain them in theory or mathematical terms. So I replaced ‘magick’ with ‘love’ because I can’t see any logical explanation for it. CP: You’re kicking off the U.S. portion of your current tour here in Philadelphia. Is there any particular reason why you decided to start here? In the latest issue of Kerrang! 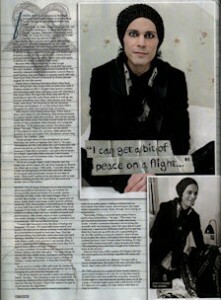 Magazine, Ville Valo talks about his life on the road (and air). A 4 page interview worth reading! 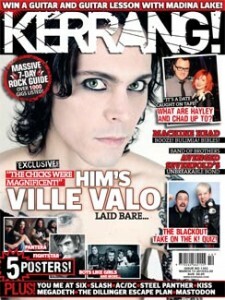 Info on how to get your hands on this issue at www.kerrang.com. The issue everyone has been waiting for! Metal Hammer takes us into Ville Valo’s domain and reveals what they found inside the sacred tower. 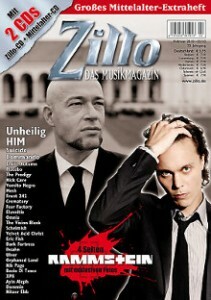 Also with this issue is a free CD of the song ‘Shatter Me With Hope”. Check out valo daily for more details! 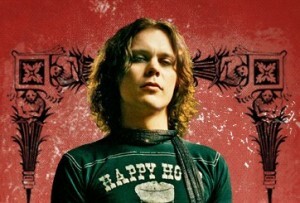 HIM’s latest album Venus Doom didn’t sell nearly as much as Dark Light, which earned a gold record in the US. 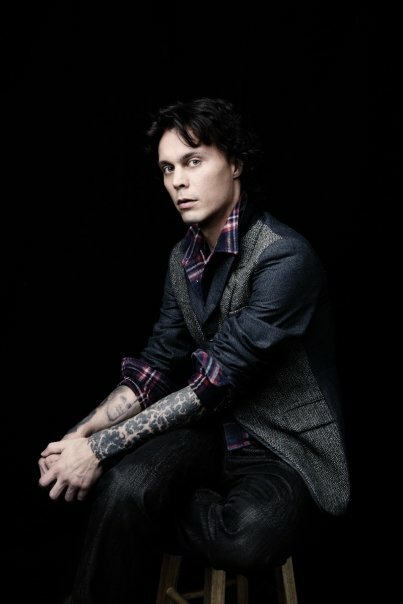 With the new album Screamworks: Love in Theory and Practice, Ville Valo puts on a poppier gear. Will the change of style help the sales figures shoot up again? Question: Musically Screamworks is the most cheerful HIM ever, but the lyrics are once again filled with despair. How did that happen? “A gallery of outtakes from the latest Rock Sound cover with HIM’s frontman Ville Valo” at Rocksound.tv. You can also view a lengthly interview by Rocksound Magazine here. After their expansive album “Venus Doom” released 2 years ago HIM now turn to a completely different path with “Screamworks ….” The new 13 songs are short and precise but packed with ideas. The songs are very catchy over long passages but have enough twists and turns to make sure not to show the whole picture at once when you listen to them for the first time.